Yamaha, in cooperation with the Consumer Product Safety Commission, has recalled 2014-15 Yamaha Viper models due to a potential fire hazard. According to the recall notice, a fuel hose joint can leak during operation. Four reports of fuel leakage have been documented. No injuries have been reported. Consumers are being asked to stop using the recalled snowmobiles and contact their local Yamaha dealer to schedule a free repair. 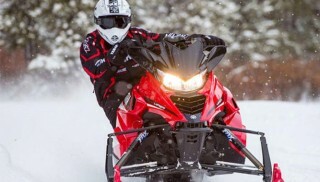 Affected models were manufactured in the United States and sold at Yamaha snowmobile dealers nationwide from October 2013 through August 2014 for about $12,000 to $14,000.